the model is a substantial weight and will haul a considerably bigger load than the prototype could ever manage! 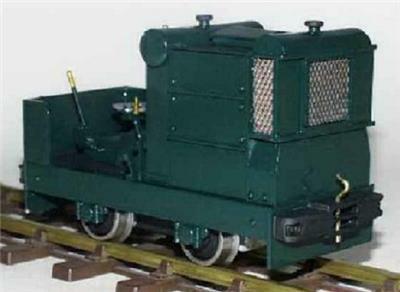 Many hundred of these little Ruston's were manufactured during the 1930's to the 1950's and used for a huge variety of tasks in factories, quarries and mines all over the world. Many have been restored, many more survive, some still in daily use!